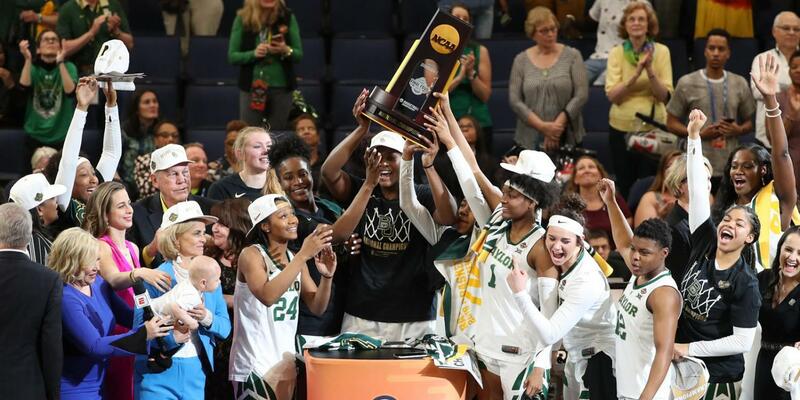 On April 7, the Baylor Lady Bears won the Women’s Collegiate National Championship for the second time in school history by a score of 82-81 over Notre Dame. Arike Ogunbowale, 31 points, and Notre Dame’s late rally was not enough to takes down Chloe Jackson, 26 points, and the Lady Bears. Baylor saw strong play from senior center Kalani Brown who totaled 20 points, 13 rebounds and 2 blocks on the night. Baylor has been absolutely dominant this whole season only losing one game and winning tournament games by an average of 38.3 points and sketch their name in the history books winning their second title in school history.